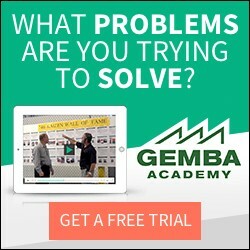 Exam Based Six Sigma Certifications – Legit or Fraud? The topic of Lean and Six Sigma Certification is one of the most debated topics in the continuous improvement world. And since I’m never one to shy away from some good old fashioned debate… I’d like to present the following scenario for discussion. How legitimate do you feel are Green Belt certifications which don’t call for a project submission and are examination based only? I am trying to get my team of 11 trained and LSS green belt certified, and am looking at all the available options for the best path to take. Of course I see the need for real world application of the tools and theories learnt in training, however with no assessment standard for projects doesn’t it go against everything that LSS teaches us as far as being measureable and repeatable, to submit a project which one person may deem passable and another person inadequate and have that decision justify your accreditation (or not)? Shouldn’t the exam show that you are competent at applying what you have learnt? I will offer my two cents later this week… but I’m very curious to hear your thoughts. So what do you think? How would you respond to Hayley? It’s a fraud. While having theoretical knowledge is good nothing can replace the real life application of tools. It’s my opinion the Villanova’s of the world are doing more damage to the reputation of Lean Six Sigma by allowing people to essentially buy a certification. A little late on the “fraud” call. That happened about 20 years ago when somebody took the CQE Body of Knowledge and tarted it up to call it Six Sigma. From then on it has been a “No Consultant Left behind” program. I am not sure fraud is the right word. I do agree having to do some form of project is important to prove you are not just book smart, but if someone is unemployed and not able to do a project for a company having any form of certification may help, especially in countries like India. Great point on how different cultures view certifications. It’s definitely not a one size fits all. Thanks for the comment! I don’t see the benefit of the exam only. The exam shows you’ve memorized content, but the project shows you can successfully apply it in the real world, and convince others to make needed changes. I could have passed an MBB test with some studying straight out of college, but would that make me an MBB? No, only learning and applying the knowledge gave me the ability to teach others and lead Lean Six Sigma. I agree with George. The Villanovas of the world do those who worked hard to become certified a grave disservice, and dilute the entire pool of belts. I work with someone who took and passed their BB course, but he could no more run or teach a Six Sigma project than my 6 year old neighbor kid. My experience tells me it needs to be both. The project itself is great experience to put some tools to practical use, but not all tools are applicable for every project, therefore it doesn’t sufficiently demonstrate all the capabilities that are required to become certified. Furthermore, most Greenbelt projects (in my experience) are done with the help of a mentor so it can be hard to determine how much input the mentor had vs the actual Greenbelt. I have seen cases where someone gets certified when the mentor has done all the work and then the company is left with a Certified Greenbelt that isn’t capable of another project. As for the exam, I feel it can be used to test greenbelts on a broader range of tools and theories that might not be applicable in their projects, as well as, force them to have a better understanding of the material, rather than just struggling their way through a project with the help of a mentor. So as I initially said, I feel it is both, both have pros and cons and both are meaningful, provided that the exam is well written and that the project is appropriately scoped and justifiable. “Fraud” is a bit too strong of a word. You get exactly what you pay for, so there’s no fraud. When did the focus get away from quality improvement and onto certificates and belts? Isn’t learning and education the point? And improvement? Would you allow a surgeon who never performed an actual surgery operate on a loved one. I know many LSS MBBs, BBs, and GBs, who never actual done a project and are subsequently clueless about how things actually get done. You need experience. Making mistakes is part of the learning process that books can’t teach you. Can you become a surgeon without going to school and earning a degree? Can you earn the degree without doing residency? A certificate indicates that you have received specific education. Now, before someone pays for your service they should consider your experience. The more experience and knowledge the more valuable you should become. Hello all and very interesting comments. If your GBs can’t do projects you are doing something wrong with their training. Now a GB is not going to be able to tackle a huge and complex problem but they should be able to handle plenty of smaller projects or parts of projects from end to finish using the tools. To the original question, I would not consider any one certified until they have delivered at least one, preferably two, relevant projects. Until that point they have not shown an practical understanding of the tools and that is at the end the whole point, being able to apply LSS knowledge to real world problems and get the desired results. I too think ‘fraud’ is a bit much but I know when I got my BB certification (which required a project) – the test was a good way for me, and my MBB, to know the areas where I was weak. When I put it into practice in my project is when I really learned the whys of what I was doing. That being said I know BBs & GBs that did their cert. project to get certified but haven’t done a project since then and other people that haven’t had a bit of Lean or Six Sigma training that do a great job of CI in their day to day jobs because that’s how they are – they want to make things better any way they can. They don’t run projects but I love having those people on project teams because they walk the walk and will get in there to really get results. From what I’ve seen it basically comes down to the individual – for some certification ends up being for the person or their resume but what they do with the knowledge they have obtained is what’s important. THANK YOU! Finally some light! DOnt get me wrong I respect all your opinions, but in reality A certification does not make the LSSBB or Engineer or Technician, is the INDIVIDUAL will and work ethic to get things right. The certification does not help, it’s the info from course. Like your degrees, you can go through college but if the education does not stick you have done nothing. I have consider it because I do not have much experience and the only reason for me to consider it it’s because in my jobs I have done these type of projects as an El. Eng. for other managers or Mech, Ind and Manuf Eng, BUT I am not considered for any of those positions because I am not CERTIFIED as a BB or I did not earn that degree even if I do my work plus their work. It’s the INDIVIDUAL working in the group that actually makes the so called LSSBB. Great website, really impressed with the neutral opinions, loved it. The definition of any type of certification couldn’t be clearer. Simply that you’ve completed the required steps defined and evaluated by that particular certifying body. It’s that simple. Pass the definition, get the certification. The true VALUE of any certification however is in the eye of the beholder (or hiring Manger). The time, effort and cost required to gain any certification can be an indicator of an individual’s commitment to learn the tools and concepts in a field of study/practice. However, solely earning a certification does not guarantee anything in terms of capability to perform. A certification should be considered as a part of the hiring decision process, not the barrier to entry. Most important is the individual’s ability to think and lead others. First I would ask: what kind of education do they have? If they are all industrial/process engineers, I would say no, don’t bother with green belt. But if they have no experience/education in problem solving and continuous improvement, then they would definitely benefit. I have an I.E. degree and learned about fishbone diagrams, out-of-control control charts, statistics, Deming, lean, six sigma, and more. Now it is up to me to learn how to apply the education, which can only be done through experience over time. But if your people have no experience, then green belt education would be great. I personally think all the belts are a joke. I’ve solved many problems and improved a lot at my plant, does that make me a master or does that mean I’m good at using common sense, experimentation, communication, and the help of others? Well, seems we have the full compliment of education vs. training opinions. I know PhDs in Instructional Design who cannot design training. I know PhDs in Education who do not understand the value of education nor how to apply it to the real world. I know engineers who cannot troubleshoot and police officers who prefer to let people go than arrest them. I’ve seen certified six sigma belts who flew through their classroom training but lost opportunities to apply their new knowledge and grow their skills. The successful people I know are those who are lifelong learners…experiencing both education AND training and applying them hands-on. There are few certificates, and fewer degree programs that provide education, training, and experience. Balance. Lean Six Sigma Green Belt certifications are NOT legitimate at all. If you look at job descriptions/postings requiring Six Sigma, Black Belt certification is usually the preference. Green Belts are in training. So, any effort you undertake certifying Green Belts is a waste. Whether the certification calls for a project or not, it is a waste. Spend your time on certifying Black Belts. Make a wise investment in your people, in the company. Usually, the Black Belt certification is incrementally more with exponential benefits. I believe the LSS should be like LEED. You study material and take a test to get the INITIAL certificate, but must get educational/project credits within a time window to keep your certificate. This way people get their initial GB/BB and get to keep it only if they grow professionally. This is a very interesting subject and there are plenty or fors and againsts for getting a cert without doing a project. I myself am looking to getting certified and because of my personal circumstances I have to opt for an online course. I am torn between Aveta and Villanova at the moment. Although I agree that working on a project really does show that one has learnt the skills necessary and can apply them in real word situations sometimes that is not an option. I am out of work at the moment and even though I have a production and servicing background I feel that having a SS belt on my resume would help in finding work. Remember you can’t get experience unless someone takes a chance otherwise you end up in a catch 22 situation. I intend to go ahead and get myself green belt certified with the hope I can find a job where I can join a project and apply my new found skills. Certainly my ulitmate goal is to become a black belt and manage projects although you have to start somewhere. People, , people, people!!! Think about what you’re saying! 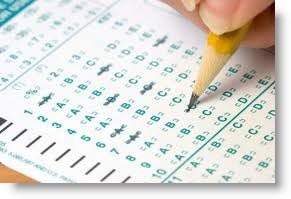 How many people studied for four or five years in a university and then took an exam. Did they have to apply what we learned over the years by way of a project in order to obtain a degree? In some cases they may have but in most they took their last final and before long they were walking in cap and gown. These happy grads don’t prove themselves until they get out there and land a job. With that being said, if that is the case for a 4 yr degree program, how much more so should that be the case for a certified program? By the way, doing a project fictitious or real doesn’t mean the person has a full grasp of what was taught. Every real life project is different and it’ll take some time to really get the hang of things. Hughie, I obtained my Yellow Belt through Aventa Online and although you can do it at your own pace and all of the answers are in your book and easy to find as they come in order, I find having a trainer, although a bit more expensive, is the way to go. You may ask questions and maybe the training company will provide some additional books or articles in addition to the MINI TAB file. I wish you all success in your journey toward certification. Thanks for the advice and kind words. Yes, I also think having a tutor available would be better. That, my friends, sounds like a fraudulent “certification”. True, it’s not fraudulent, is just as in any work or certifications, everything needs to be regulated, is it currently regulated? And if it is, how much of a good job are they doing. From your quote, not a very good one. Not if one takes the IASSC certification.